"We have just going out for the first race in Marseille and all is going well on the Azzurra, the boat is in good shape, the crew are in good shape and spirits are high. We were are a little bit disappointed at the end of the last regatta in Cascais but we have redoubled our efforts, made a few changes to the boat and hopefully I think we are in very good shape. "The conditions here in Marseille are always variable which potentially suits the Azzurra Team. We have a real family atmosphere on the boat and everyone is prepared to go the extra yard whatever the conditions are which is very very important. "We were lucky enough to win the practice race yesterday, sailed really well. The Italian brains trust did a great job and then the Argentinian, Australian and English trimmers backed them up and the boat handling from the rest of the lads was really really good. 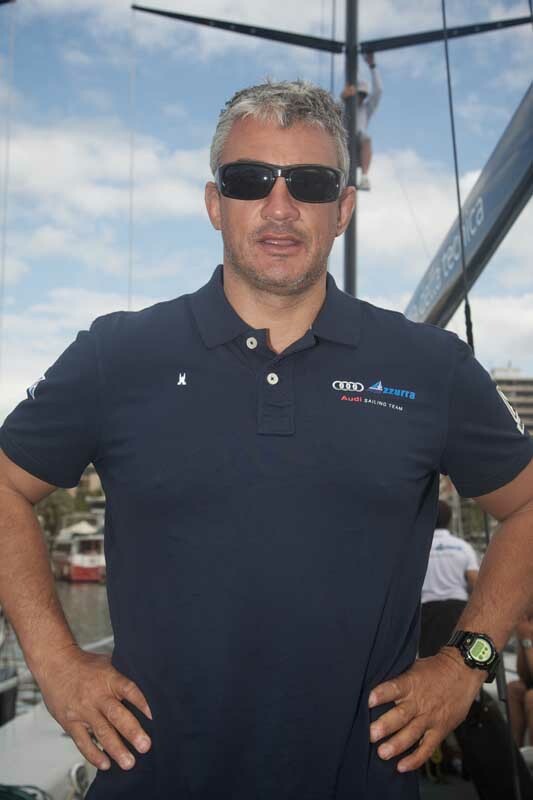 "Today we have two races, the forecast is light but it can change as quick as you can say Audi Azzurra."